Here’s a great wee writing activity that is quick and easy to put together. 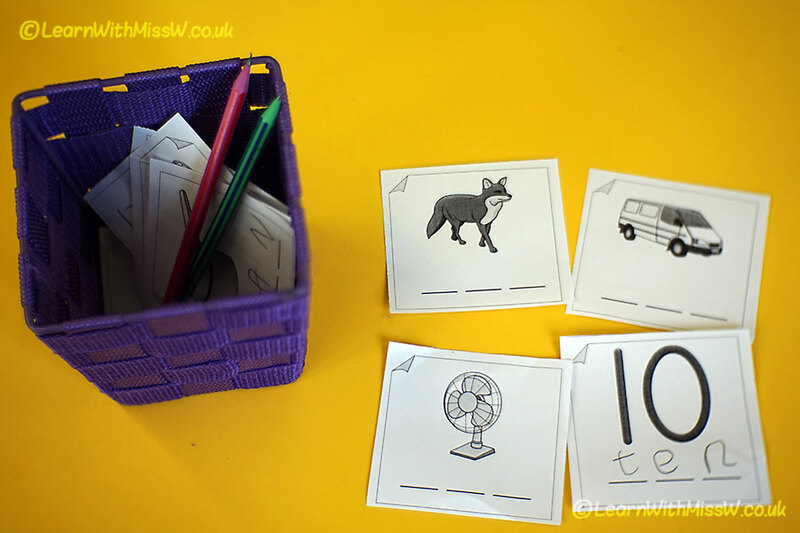 All I’ve done is sliced up a phonics worksheet into individual words and ‘Ta Da’, a new choosing activity! We’ve been learning how to stretch out words, count the sounds and write them down during teaching times. This is a chance for my students to practise these skills independently. I’ve put up a completed ‘answer sheet’ for the children to refer to, although I’ve not figured out yet whether they need it or not. I also found some lovely pencil shaped stickers for anyone who has a go writing words during choosing time. A few children are writing some or all of the letters in capitals, which is not ideal, but at least they are using their segmenting skills. This is the link for my CVC word worksheet.